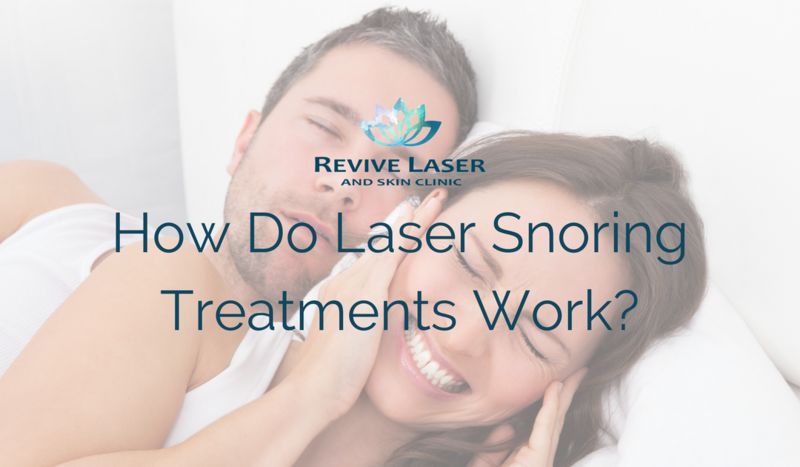 How Does A Laser Treatment Affect Snoring? How does the laser snoring treatment work? Fotona offers a quick, painless, and very effective laser treatment called Nightlase. It tightens the tissue at the back of the throat, opening the upper airway and decreasing the sound of snoring. Most people assume that a laser snoring treatment would involve some type of cutting or surgery in the throat. Many other snoring treatments currently do, but this is a non-invasive, painless procedure. So, if it doesn’t involve surgery or downtime, how can a laser beam actually improve snoring? Firstly, not all lasers can treat snoring. Fotona’s advanced cold Erbium laser is safe to use on mucous tissue (inside the mouth). As we age, our skin’s collagen begins to break down and tissues start to relax. This relaxed tissue in the back of the throat is what cases the snoring sound, when someone breathes while sleeping. The laser’s beam targets the water in the skin’s collagen in the uvula and back of the throat. As the laser heats this tissue, it causes some immediate contraction of the tissue, which gives some immediate results for snoring. Behind the scenes, that heat has been absorbed by the collagen fibres and has gently damaged it. This then draws the immune system’s attention to the area and the body’s natural processes begin to heal and rebuild the collagen in the damaged areas. This makes the tissue stronger and results in tightening and strengthening of the loose tissues in the back of the throat. Which then means LESS SNORING!! 3 treatments are required over several weeks to get the best results. The client can go straight to work or whatever actives they would like, no aftercare is required and they will not experience any side effects other than (possibly) an extremely mild sore throat for a day or so. Talk to the experts about your snoring problems. Our complimentary consultations go deep beneath the surface and figure out exactly what your body needs to eliminate snoring and let you (and your partner) get a good night’s sleep!